Our Kenyan coffee is grown by Kibrigwi Cooperation, located in the Kirinyaga district on the southern slopes of Mount Kenya. Thunguri means in Kenyan terminology wet mill or “factory” as they are known in Kenya. While we like single estate coffees, the quality from cooperatives can be sometimes even better. In Kibrigwi Cooperation, each member is tending to only 200-300 coffeetrees on an half hectare. This is opposed to huge farms that use industrial growing methods and the care every member puts into his/her tree ensures superior quality for the coffee. More than that cooperations assure that its members get fair trade for their coffee. Kibrigwi Cooperation is located on the slopes of Mount Kenya (5199 m) in the Kirinyaga district. The second highest mountain in Africa. Thanks to two wet and two dry seasons the cooperation produces two harvests a year. 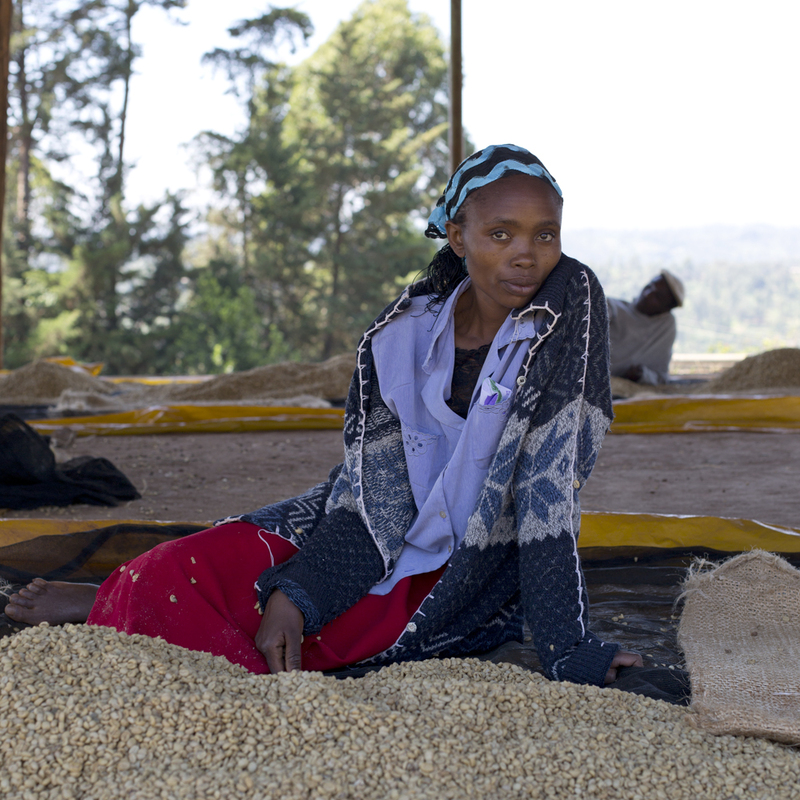 Our current Kenya Thunguri Primary comes from the harvest after ‘long rains’ season in mid-March to June. The trees grow on a very high altitude between 1600 – 1800m, which makes the flavour of the beans hint some taste of citrus, berry and floral honey. Once the coffee has been harvested, it is brought to the cooperative wet mill, or ‘Thunguri’ as locals call it. There the coffee is processed in four steps. First, harvested coffee cherries go to a pulping machine, which separates the bean from the fruit. The pulp is washed away and beans are fed to the fermentation tanks. Then, the beans stay in the fermentation tanks for 10 to 64 hours. Here the mucilage layer is broken down and the coffee’s flavour is naturally enhanced. After fermentation the beans are washed to remove the sticky fluid that has come from the fermentation process. Finally the washed coffee is taken on the hills of mountain, where it is spread on drying trays to dry naturally in the sun before packing.